Being Hungarian, a trip to Hungary had always naturally been a dream of mine. With my great-grandmother on my mom’s side being born there, I definitely felt a connection to the country, but I had simply chalked it up to an impossibility for me. When I was talking to my mom about where I might go for fall break, though, she had a surprise for me – she’d planned a trip for us to visit the “motherland” together! Since I was studying abroad in Russia, flights into Europe would be significantly cheaper than they would ever be again for me, so we decided that this was the right time for the trip. She flew out from Nashville, and I was coming from Moscow, Russia, but we met at the Budapest airport and it was an adventure from the start. Our hotel ended up being just one street away from the river, so we got the chance to walk along the Danube every morning and night and take in the stunning river views. Budapest is split into two halves, “Buda” and “Pest” with Buda being the older side of town and Pest being the newer, “hip” side. We stayed in Pest, so this is where most of our exploration took place. 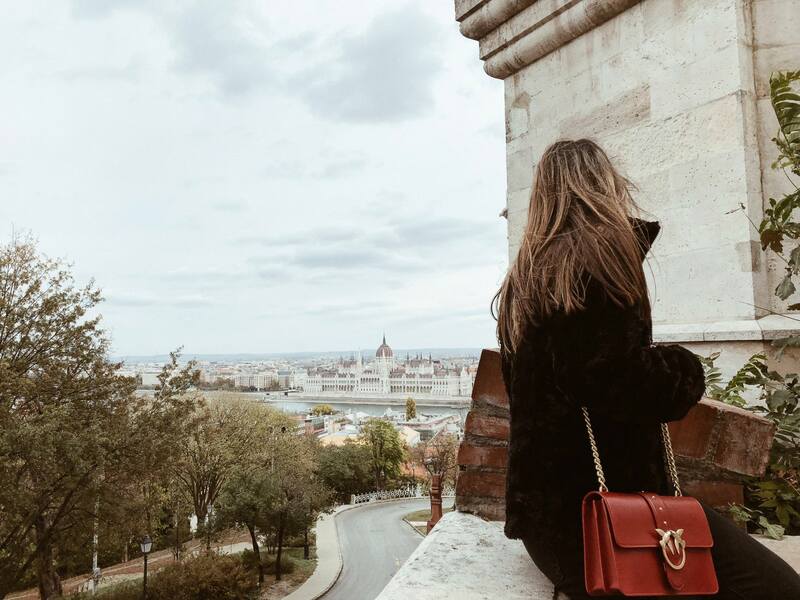 We navigated the metro and made stops at the Parliament building, St. Stephen’s Basilica, the market, and even stopped by Andrassy Street, which is considered to be a part of Budapest’s high-end shopping district. One night we stopped by a “ruin pub” in the Jewish Quarter called Szimpla Kert, which is the oldest ruin pub in the city. A pub doesn’t particularly sound like a happening place to visit as a tourist until you realize that ruin pubs are literally pubs built into abandoned buildings – and they’re just about the funkiest and most eclectic places in Budapest! 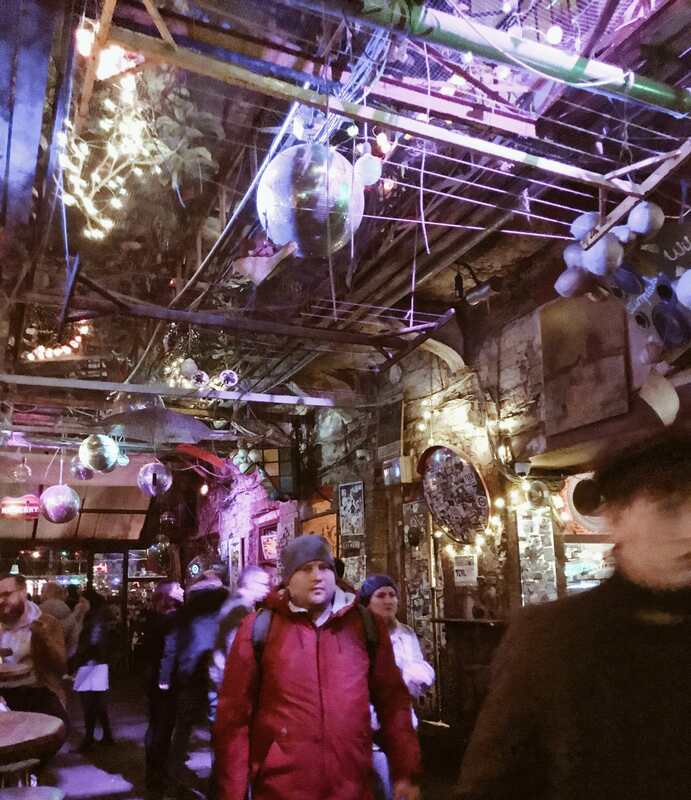 Szimpla Kert, known locally as just Szimpla, was definitely one of the highlights of our trip for me. However, even though I adored every bit of Pest, my favorite activities actually took place in Buda. One of these was visiting the Harry Houdini museum and getting to learn all about Houdini, who was one of the most famous magicians in the world, and a Budapest native as well. They even had his birth certificate and many of the handcuffs he famously broke out of on display! The other unforgettable experience that took place in Budapest was going to Dracula’s cave. That’s right, Dracula was a real person and there is a cave and labyrinth in Budapest which he was imprisoned in by King Matthias that tourists can actually explore on their own, with just a lantern to light the way. It was completely terrifying to be in the pitch black of a literal labyrinth under the streets of the city while having absolutely no idea of where we were going. The cave definitely sorted us out of any spooks that we might have wanted for years to come! Once the day came to finally head back to our respective homes, my mom and I tearfully bid each other farewell, but not without having made wonderful memories with each other throughout the week to last a lifetime. After all, it’s not every day that you get lost in Dracula’s cave or go to pubs built into abandoned buildings with your mom!